Château Lynch-Bages, classified as a fifth growth in 1855, is an extremely popular and enjoyable Pauillac owned and run by the Cazes family, who also own Ormes de Pez in St Estephe. The Château derives its name from the Lynch family who had Irish origins and the Pauillac Bages plateau where the estate’s vines are located. Jean Charles Cazes purchased the property in 1934 but the modern day renaissance of the Château owes a lot to the energy of his grandson Jean-Michel Cazes such that today Lynch Bages is a firmly priced super second which rarely disappoints. It is usually hedonistic in style [for the Medoc] with rich blackcurrant fruit with plenty of nicely handled oak in a precocious format that makes for a wonderfully enjoyable wine that can easily be consumed young but the wines do have the ability to age extremely well. 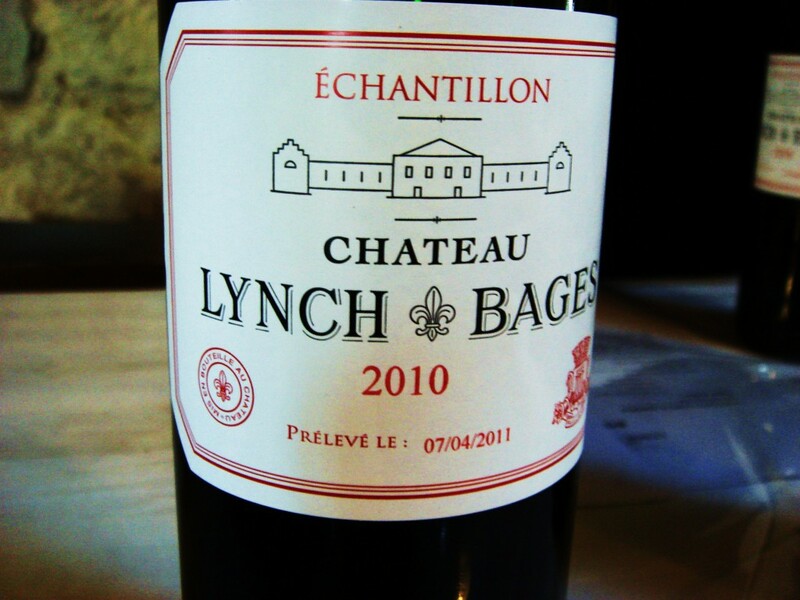 The 2009 Lynch Bages was amongst the top wines in the appellation when tasted together in spring 2010. The second wine here is Echo de Lynch-Bages. Vineyards/Terroir: 90 hectares on Garonne gravel planted with 73% Cabernet Sauvignon, 10% Cabernet Franc, 15% Merlot and 2% Petit Verdot. Winemaking/Elévage: Traditional followed by fifteen months ageing in oak. 2013 Mid depth; purple at edge; menthol, cream and blackcurrant tones on the nose; fruit on entry, blackcurrants but feels a little forced; chew and lots of tannins on the end. Also lots of sap too. Bit of a jumble. Needs taming. [72% Cabernet Sauvignon, 20% Merlot, 6% Cabernet Franc, 2% petit Verdot 75% new oak]. Tasted UGC 1/4/14. 87-89? [second note] Deep and saturated look; legs; menthol and spice on the nose otherwise a bit closed; bold and chewy palate; feels bit disjointed but there is evidently lots of extract and grip here. Chewy and extracted on the finish. Elévage should settle this brute. Tasted 3/4/14. Drink 2020-2030. 87-89? 2009 Deep and saturated; very dark; this has tightened up considerably since bottling; brooding blackcurrant aromas, weighty; ripe blackcurrant and menthol notes; spices too; lots and lots of material and tannin [ripe] makes it a little chewy at present but this is a wine with an enormous amount of weight, extract and potential. Needs a decade I reckon. 2020-2040. 97+ MW Institute Nov ’13 [Earlier note] Deep and dark; very ripe, big blackcurrant nose with cassis and oak; menthol too; almost New World; loads of black fruits on the palate; quite amazing Lynch Bages; not jammy in the slightest; fabulous concentration and really attractive; lots of grip and density on the finish. Great and remarkable stuff. 97+/100 UGCB Oct ’11 [Earlier note] 2009 Very seductive and ripe nose; blackcurrants with some lovely oak; very flattering on the nose; wonderful cassis and intensity; terrific; some mocha and chocolate at the back of the nose; very concentrated and a little more extracted than the two Pichons but still very well done and it works; clean; great roundness and ripeness to the wine; little chunkier on the finish here but this is very, very good and should settle down more. Certainly flashy and attention grabbing on the nose and entry, a fraction less polished on the finish than the Pichons. Still terrific though and the best Lynch-Bages I’ve had since the 1982. 94-96/100 Tasted 30th March & 1st April 2010.